Our physical fitness greatly defines how we value our health; this is true for some people only. While some people spend their time and invest in workouts and exercise as a way to value their health, some people are taking the other option of maintaining a healthy diet and being super conscious on what food they eat. People investing on workouts can be more physically fit in a way because they are more able to perform physically requiring activities, but the people maintaining a healthy diet can also have the advantage of getting all the necessary nutrients that the body needs. Being healthy actually requires both exercising and maintaining a healthy diet. The combination of the two can greatly benefit one’s body in a tremendous way than doing just one of them. The benefits of working which includes increasing blood circulation of the body, developing the muscles and speeding up metabolism can greatly be complemented by the benefits of having a healthy diet, which is getting the essential nutrients of the body, and avoiding unhealthy food. Increasing blood circulation means ensuring that the nutrients absorbed from the foods we eat reaches all parts of the body and thus, promote the body’s health. 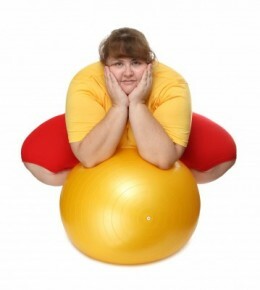 The effect of exercise, which is speeding the metabolism, is greatly complemented by having a healthy diet. The success of a diet, or in keeping your body physically fit by exercise, is highly dependent on your will, determination, and discipline to obtain or keep your body healthy. Of course it will be hard to start on an exercise schedule or keeping yourself from eating the food you want or reducing the amount of food you eat but once you have reaped the fruits of these, you’ll realize that it was all worth the effort and perseverance on your part.